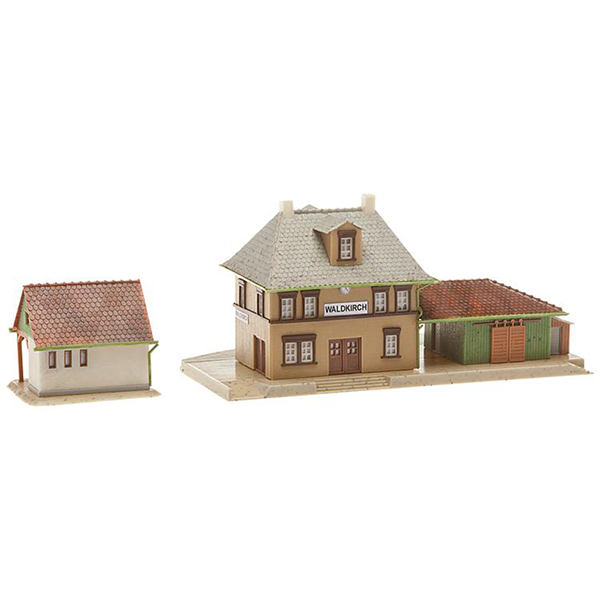 Small town station with living quarters, annex on the side and an adjoining building. The straight platform can be extended with an additional curved piece and an inside track curve can also be installed. 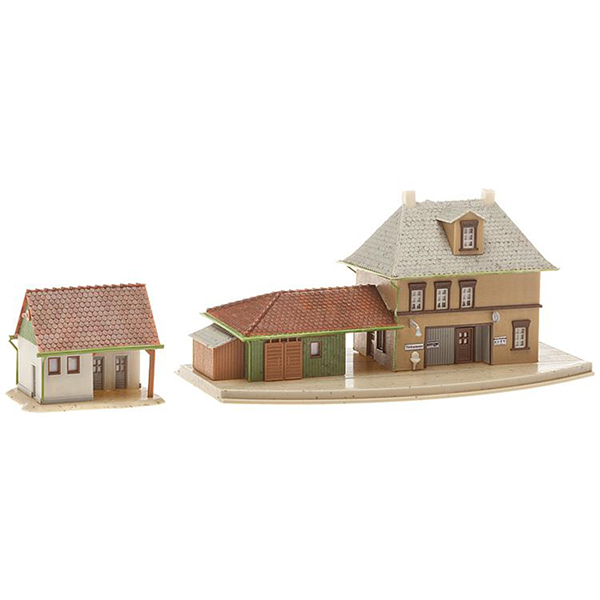 This building kit contains: 113 single parts in 11 colours, window parts, 1 paper mask and 1 construction instruction.